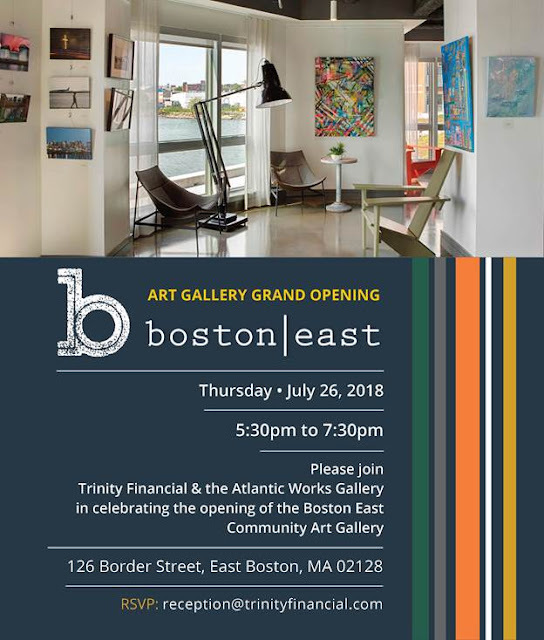 Check out What’s Happening at the East Boston Branch Library in August! Wednesday, August 1st at 2 p.m.
Join us and a Park Ranger for a family-friendly afternoon! 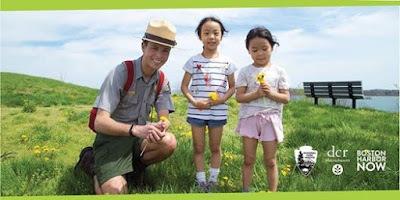 Read a book with a Park Ranger, become a Junior Ranger, and learn more about Boston Harbor Now's Library Pass Program. This summer, children and teens can enjoy free, healthy meals at the East Boston Branch Library through the Summer Eats Food Service Program. Children are also invited to join in the fun at the library during this time which includes Read Boston on Mondays in July and drop-in arts and crafts and board games Tuesday through Friday in July and Monday-Friday in August. A nutritious snack will also be served at 3:30 p.m.each weekday. Summer Eats will provide nutritious meals to kids and teens 18 and under through the federal Summer Food Service Program. Working in partnership with local communities, the Massachusetts Department of Elementary and Secondary Education and Project Bread – a leading statewide anti-hunger organization – support Summer Eats programs across the state to reach as many children and teens as possible. Saturday, August 11th from 1-4 p.m. The Floor Lords Crew will be showcasing the foundational steps and history of hip-hop culture in Boston here at the East Boston Branch at 1:00pm on Saturday August 11th @ 1:00pm! The Floor Lords was established in 1981 at the adolescence of the Hip-hop culture. Two groups formed into one, to create a powerhouse crew. 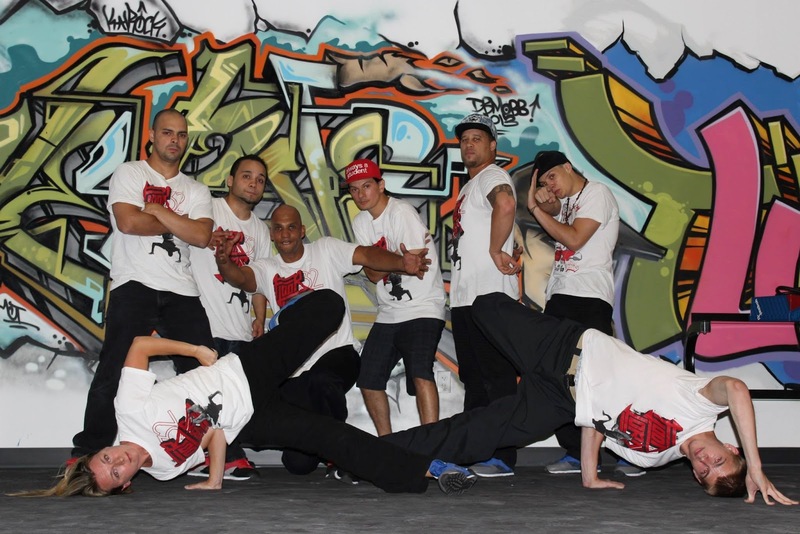 Since then, they have played a significant role in the growth of Hip-hop culture, contributing wholeheartedly by helping to define and ultimately expand upon the art of break dancing or more commonly known as “B-boying” around the world. Friday, August 10th at 3 p.m. Historic New England invites students to explore the life of Melba Liston. Using the book, Little Melba and her Big Trombone, students will meet Melba, an extraordinary jazz trombonist who faced numerous challenges in her life to create toe-tapping tunes. Students will look at instruments from the past, listen to Melba’s music, and create a musical instrument to take home with them. Thursday, August 16th from 1-4 p.m. Put on your dancing shoes and travel back in time to the 1940’s and 50’s! Strike a pose at our photo booth, test your knowledge of all things 50’s in a fun trivia game and dance the afternoon away! BOSTON – Candidate for Suffolk County District Attorney Greg Henning today announced that he has received the endorsement of the Boston Carmen’s Union, Local 589 of the Amalgamated Transit Union, which represents over 6,000 MBTA bus drivers, subway and light rail operators, repairers, maintenance-of-way staff, and other MBTA union transit professionals. The Democratic Primary for the open race to replace outgoing Suffolk County District Attorney Dan Conley is on Tuesday, September 4, and the General Election is on Tuesday, November 6. For ten years, Greg has worked as an assistant district attorney in the Suffolk County DA’s office, including time as head of the Gun Prosecution Task Force and as head of the Gang Unit, which is focused on shootings and other violent crimes in Suffolk County. In addition to his work at the DA’s office, Greg built a reputation as a beloved teacher and mentor in the community, and his career has been marked by a deep passion for reaching young people. In 2009, Greg started volunteering, coaching, and tutoring at College Bound Dorchester. 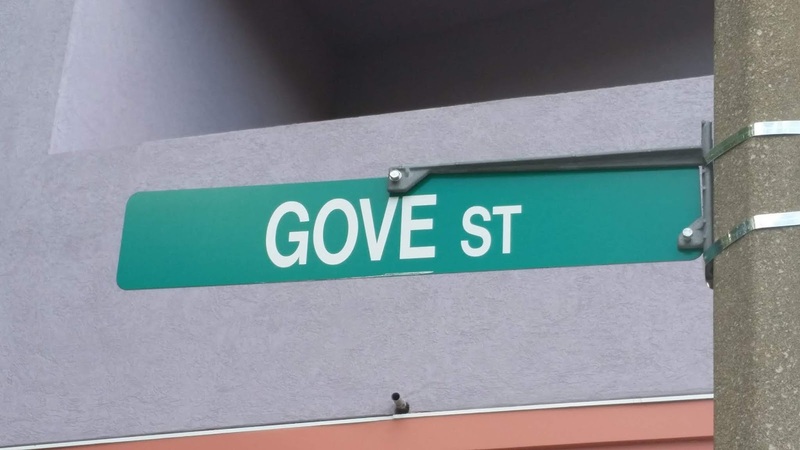 He left the DA’s office in 2011 to become a teacher at Boston Preparatory Charter Public School in Hyde Park, teaching eighth grade English and twelfth grade constitutional law. Even after he returned to the DA’s office in 2013, he remained a consistent part of his students’ lives. Greg grew up in Boston, graduated from Harvard in 2002 with a degree in Government, and received his juris doctorate in 2005 from the University of Virginia School of Law. He completed a clerkship for the United States Court of Appeals for the 11th Circuit in Macon, Georgia, before returning to Boston to begin work as a prosecutor. Greg lives in Dorchester with his girlfriend, who is a special education teacher in Boston. You can read more about Greg Henning and his vision for Suffolk County at his website www.greghenning.com. BOSTON – The Massachusetts Department of Transportation (MassDOT) is reminding members of the public that significant travel impacts will begin next week as part of the intensive construction operations to replace the westbound side of the Commonwealth Avenue Bridge. On the evening of Thursday, July 26, a section of Commonwealth Avenue and the Boston University Bridge will be closed to vehicular traffic, and MBTA bus detours for the CT2 and 47 routes will go into effect. The MBTA Green B Line will be replaced by shuttle buses at the start of service on Friday, July 27, and lane reductions on I-90 in Boston will then begin later that evening. Crews will start demolishing the westbound side of the bridge on the morning of Saturday, July 28. The MBTA Commuter Rail Worcester/Framingham line and the Amtrak Lake Shore Limited line will be replaced by bus shuttles throughout the weekend, and during the following weekend, in order to ensure adequate room for operations. The new westbound side of the bridge will then be constructed with steel beams, prefabricated concrete deck panels, and asphalt by August 11. This $110 million bridge replacement project, which would take an estimated four to five years using conventional techniques with significant lane-takings and service disruptions, is scheduled for completion in 2019 under the accelerated plans. The westbound side of the bridge will be constructed this summer using 3 cranes that weigh 600 tons each. Crews will utilize this equipment to put in place 45 steel beams and 214 pre-fabricated concrete deck panels along with 680 cubic yards of concrete and 520 tons of hot mix asphalt. Pedestrians and bicyclists will have access across the Commonwealth Avenue Bridge on the eastbound side throughout construction. Download the Blue Bikes app on the App Store or Google Play to find a station near you. For a limited time, Blue Bikes is dropping their Single Trip Pass to $1 from July 26 - August 11, available in the Blue Bikes app. MassDOT is also partnering with the City of Boston to provide an additional temporary Blue Bikes station at Silber Way on Commonwealth Ave during the construction period. For more information, visit www.bluebikes.com. Commonwealth Avenue (between Packard’s Corner and Kenmore Square) will be closed to vehicular through traffic (local access only) from 7:00 p.m. on July 26 to 5:00 a.m. on August 11. Access through this area will be maintained for local businesses and customers, residents, MBTA buses, emergency services, pedestrians, and bicyclists during this time. The BU Bridge will be closed to vehicular and bus traffic from 7:00 p.m. on July 26, to 5:00 a.m. on August 11. Access will be maintained for pedestrians and bicyclists only. See the “Boston University (BU) Bridge Closure Detour” on the Traffic Management page. From 9:00 p.m., on July 27, to 5:00 a.m., on August 6, I-90 (between the Allston Interchange and the Beacon Street Overpass in Boston) will have no more than two lanes open in each direction during peak hours. I-90 in this area will be further reduced to one lane in each direction at various times during off-peak, weekend, and weekday overnight hours. The I-90 eastbound on-ramp from Cambridge Street/Soldiers Field Road will be closed during this entire period. I-90 will fully restored to four lanes in both directions at 5:00 a.m., on August 6. · The Department of Conservation and Recreation (DCR) will allow vehicular traffic on Memorial Drive in Cambridge on Sunday, July 29, and Sunday, August 5, in order to minimize impacts on local roadways and allow for safe and reliable travel throughout the area. · DCR will add an additional Sunday closure of Memorial Drive in Cambridge this fall meaning vehicular traffic will not be allowed between Western Avenue and Mount Auburn Street from 11:00 a.m., to 7:00 p.m., on Sunday, November 18. The additional “swing lane” on Route 1A southbound at the Sumner Tunnel will have extended hours so that it is opened at 3 p.m., on Friday, July 27, and will remain open through 5 a.m., Monday, July 30. The swing lane will then be opened daily from 1 p.m., through 10 p.m., between Monday July 30, and Thursday, August 2. The swing lane will also be opened at1 p.m., Friday, August 3, and will remain open through 5 a.m., Monday, August 6. The High Occupancy Vehicle (HOV) lane on I-93 between Boston and Quincy will be open during the normal morning hours of 5 a.m., through 10 a.m., from Monday, July 30, through Friday, August 3. The HOV lane will open early for the afternoon commute at 2 p.m., from Monday, July 30, through Thursday, August 2, and will then open at 1 p.m., on Friday, August 3. The Green B Line will be replaced with shuttle buses between Babcock Street and Blandford Street Stations from 5:00 a.m. on July 27, to 5:00 a.m., on August 11. The MBTA will be providing regular service updates to customers. On the weekends of July 28-29 and August 4-5, bus shuttles will replace Commuter Rail service in this area. Free bus shuttles will replace Commuter Rail train service between Framingham and Wellesley Farms. After Wellesley Farms, the shuttle bus will then continue nonstop to Riverside, where riders can connect to the Green D Line. In addition to the local shuttles, express shuttle service will be available between Framingham and Riverside. MBTA Bus Routes CT2 and 47 will be detoured from their normal routes from 7:00 p.m. on July 26, to 5:00 a.m. on August 11. These detours are expanded from the 2017 detour routes due to the closure of the Boston University Bridge this summer to all vehicles including MBTA buses. The Route 57 Bus will operate its normal route and will not make outbound stops in the construction area. See the “2018 MBTA CT2 and 47 Bus Detour Map” on the Traffic Management page. Amtrak’s Lakeshore Limited Line will be replaced by shuttle buses between South Station and Albany, NY for the weekends of July 28-29 and August 4-5. REROUTE – Plan alternative travel routes around this construction area during the times mentioned. REMODE – Consider using alternate modes of transportation which may include public transit, walking or biking. The Baker-Polito Administration appreciates the cooperation and patience of the traveling public as core transportation infrastructure is improved. Members of the public are encouraged to utilize the appropriate technology tools including mass511.com, our GoTime travel app, and other wayfinding resources to find the most appropriate route, mode, and timing of travel during our construction operations. 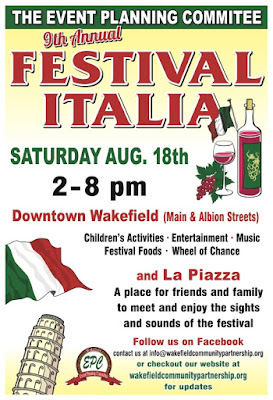 Plans are being formulated to put on another free, fun, family-friendly event featuring food, music, entertainment, children’s’ event and more. Three stages will be featuring music. The popular train ride will return, as well as the Wheel of Chance. Merchants and organizations will be set up along Main St. and Albion St. Check our new website at www.wakefieldcommunitypartnership.org to stay updated. a. 197-207 Maverick Street This project consists of the demolition of the existing commercial structure containing Maverick Street Market (ask 205 Maverick) and construction of a new 5 story, community based redevelopment (without displacement) containing a new home for the existing marketing and potential laundromat operation, if desired, along with 55 residential units and 34 off-street parking spaces. Attorney Joe Hanley. b. 175 Orleans Street This project consists of the rehabilitation of the historic structure at 175 Orleans Street into a 127 room hotel. The rehab will include one additional story and 65 parking spaces with retail space on the bottom level. The owners will be present to provide updates on the status of this project. By now, nearly every American has seen the terrible images of children being torn from their families, heard the sound of children begging immigration officers to call their relatives. Those images and sounds are the truth of what has been happening at our border because of Donald Trump’s despicable and immoral immigration policies. Now, the Administration officials who said they could easily reunite children and parents are failing to meet a court order to do so, because it turns out they can’t do what they said. I traveled to the Texas border a few weeks ago to get more information about what the federal government is doing to families there. Along with Congressional colleagues, I traveled to the Centralized Processing Center in McAllen, Texas, where those who are detained at the border are first sent. We went to the McAllen Border Patrol Station and Intake Facility, where officials monitor the border and detain individuals. We went to the Port Isabel ICE Detention Center, where detainees are kept. We visited the “processing center,” as it’s called, and saw rows and rows of silver Mylar blankets, with small figures lying underneath. Children. We saw a half-used box of diapers sitting out. Some of the children being taken from their parents are no more than infants. When I was in Texas, I saw children in cages, scared and confused. These children will suffer lifelong trauma and consequences as a direct result of Donald Trump’s hateful policies. The detainees I saw were terrified and confused. Many did not know where their children were. Some knew where their children were being held but had not spoken to them in a long time. No one knew when they might see their children again. And no officials could answer our questions on how families would be brought back together. Today, Donald Trump would like that all swept under the rug. Hesitantly, and with great delay, his administration is reuniting select families. This is not enough, and it’s not acceptable. Donald Trump wants us to forget about the horrors created by his policies -- but we can’t and we must not. I will not stop working to bring each and every family back together. That’s why I attended a rally in Boston the day after I stepped off the plane from Texas, why I joined protesters during the Keep Families Together march, and why I’ve been sharing what I’ve seen with you. Bearing witness to this trauma isn’t enough – pointing out that what’s happening is wrong doesn’t stop it. That’s why we need policy change, and why I have introduced legislation to stop the deportation of families at the border and reunite separated families quickly. To be clear, it won’t be easy to pass anything in the Republican-controlled Congress. It will be a battle. But it is a battle we absolutely must fight. We must continue to stand up to Donald Trump and make sure this policy ends and never happens again. Without all of us standing up to Donald Trump and fighting for what is right, nothing will change. We must pressure the party in charge -- the Republicans -- into listening to America’s conscience. Ripping families apart is, simply put, evil. I will do everything in my power to bring these families back together. Together, we will end this policy and make a difference. Trump’s horrible policies deny who and what we are as a nation, our deepest held values and beliefs. We are a nation of immigrants, stronger because of it. 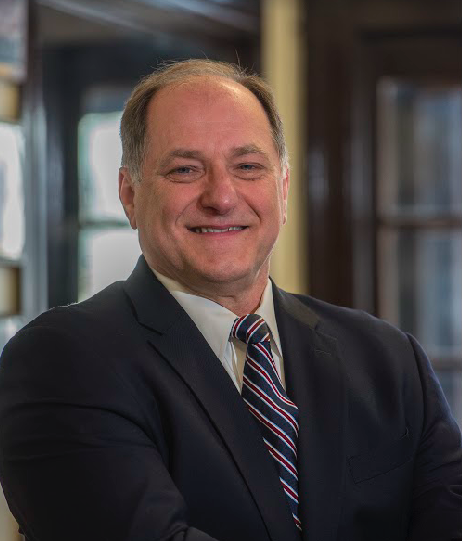 Submitted by the campaign on Congressman Mike Capuano, July 13, 2018. Eastie Week is celebrating its 5th Year Anniversary of highlighting East Boston’s people, community, culture, and history. Join us for over a week of free and low-cost public programming ranging from Community Cruises, cultural events showcasing the neighborhood’s music, food & culture! (East Boston - July 11, 2018) Fr. Tim Zak, Provincial of the Salesians of St. John Bosco last month informed Fr. John Nazzaro of the Salesian Boys & Girls Club that he will be transferred officially to Don Bosco Prep High in Ramsey, N.J. in August. Before assuming his new responsibilities, he will be attending classes at the Chicago Theological Union in Chicago, Illinois. Fr. 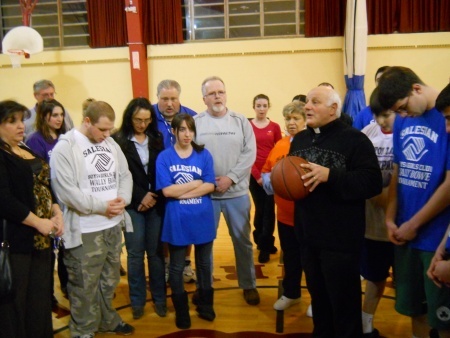 John has been associated in a variety of responsibilities at the Salesian Boys Girls Club in the past 35 years, more recently as Executive Director for the past 11 years. Fr. John grew up on Falcon Street and has great memories of the Presto, Mario, Baglio, Scalifani and the DiMarco families who made Eastie special to grow up in. As kids we were a band of brothers hanging out, playing sports and memories that have lasted a life time. As a young person going to the Salesian Boys & Girls Club and Dom Savio High School I fell in love with the Salesian Spirit and the traditions of its founder, St. John Bosco. As a boy a Salesian Brother gave me a book “Wolves to Lambs, it was about how St. John Bosco changed young people from wolves to lambs by being kind to them and giving them a safe place to play. Once I finished that book I was ready to save the world. Over the years even though its not been easy I feel we have changed a lot of young people’s lives at the Salesian Boys & Girls Club. Legends like Fr. Sid, Fr. Bob, Dave Ferrara and Wally Bowe just to name a few had a tremendous impact on my life. Fr. Tim Zak has expressed his commitment to the community of East Boston by committing 5 Salesians to live at the Salesian Boys & Girls Club. The Massachusetts Supreme Judicial Court’s recent rebuke to supporters of a graduated income tax amendment showed how progressives failed to understand the checks and balances of the state’s constitution —conceived admirably by John Adams and amended narrowly and —perhaps ironically —by turn-of-the-20th-century Progressives. The ruling was a stinging defeat for Raise Up Massachusetts, the union-backed coalition that spearheaded the petition drive, and state Attorney General Maura Healey, who certified the petition last year. Healey, and others, made clear that, even in defeat, they intend to pursue higher taxes. Both the Attorney General and her allies expected the court to overlook the niceties of constitutional law in favor of vague sentiments such as fixing potholes and reducing income inequality.